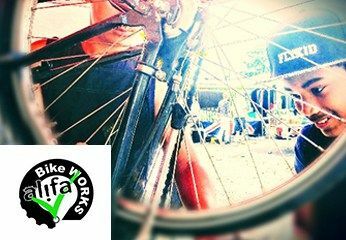 Alifa Bike Works is a Social Enterprise founded by Aschwin Bergsma and Pascal Dijkman. They introduce young people to technology, allowing them to develop skills and earn a bit of money. Customers come to them for repairs, buying and selling bicycles and equipment, education (bicycle technology), and leisure activities. Alifa Bike Works is part of Alifa Welzijn and offers young people the chance to gain experience in bicycle technology and earn a bit of money. The place for all your professional internet solutions: website, e-mail, hosting. Our work with advertising agencies combined with our years of experience means we can design a high-quality website to suit your needs. 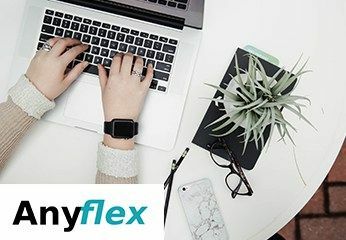 Together with an in-house designed CMS (content management system), you will have a site that you can easily update from anywhere in the world using the secure back office system. Our service doesn’t stop there. 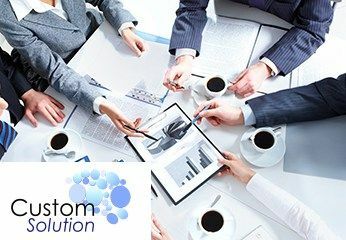 We work with you to develop custom-made software, enabling your website to grow to a fully-fledged internet application. In addition, we offer narrowcasting with high-quality technologies. Narrowcasting, Web Design, Web Applications, Automation. You can always arrange website hosting, domain registration and websites through us. But we go way beyond that. Tailor-made software and hardware combinations for your company. That is what we are all about. By working together, we’ll find the best ICT solution for your needs. I work as an independent product developer, helping stakeholders turn their products ideas into reality. 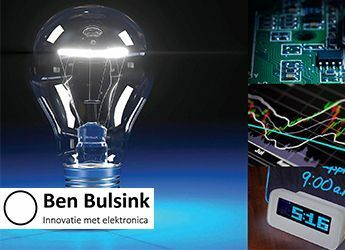 From idea to product: I take an idea for a useful consumer product all the way from implementation to production, including developing the electronics and software. benbulsink (@) outlook.com, Room 214. 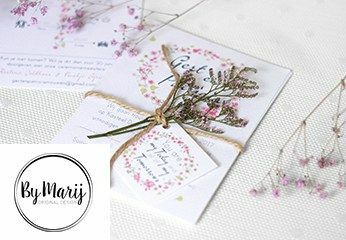 Are you looking for the perfect wedding or birth announcement card? There are many cards available, but only one design that is right for you! Together, we’ll create an exclusive design that fits your unique personality perfectly. A wedding or birth announcement card that will undoubtedly receive many compliments. 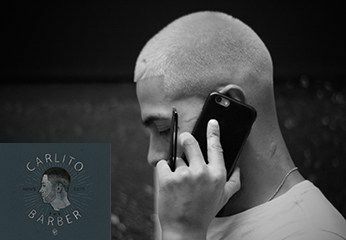 Carlito is a barber shop where men head for a fresh style, be it classic or modern. I specialise in cutting, trimming, contouring, and styling for all ages. What was just a dream 14 years ago, is now a reality; my own barber shop in a prime location at the Performance Factory. Everyone is welcome, not just for a haircut, but also for a chat. The relaxed atmosphere in my shop means everyone feels immediately at home. Curious? Come see for yourself! We are a business consulting firm providing custom advice, planning, and guidance to (start-up) entrepreneurs. We do this based on our knowledge in the fields of ICT, business administration, organisation science, and legal and financial matters. In addition to advice and guidance, we offer training courses, workshops, and knowledge sessions. 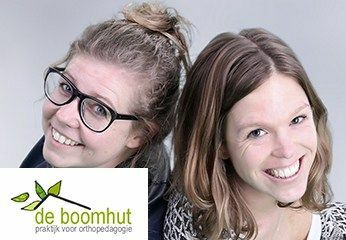 De Boomhut is a small and personalised remedial education practice where we enjoy working with children and adolescents with special needs. For example, those with autism, AD(H)D, or high sensitivity, or those who are (intellectually) gifted. But anyone who needs specialised homework tutoring, mindfulness training, or individual coaching is welcome. Using PGB is also possible. (PGB – a subsidy providing a personal budget for people with chronic illnesses, physical or mental disabilities). Feel free to inquire about the possibilities! 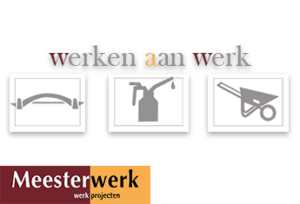 The De Houtmeesters employment project is a Meesterwerk work project. This wood workshop is the place to come to buy cool and contemporary wooden furniture. 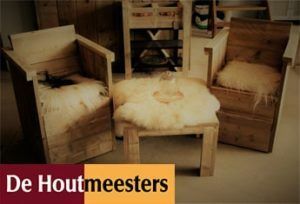 It is also possible to have De Houtmeesters make up your design. You can order products online or visit our workshop in Enschede. At Element X Customs, we are a young and dynamic team with an innate sense of style, which we lend to graffiti & stencil art, laser printing, signage (stickers), screen printing, heat printing, and graphic design. Creativity, exclusivity & cooperation define our services. Are you creative and enterprising? Get in touch with us! 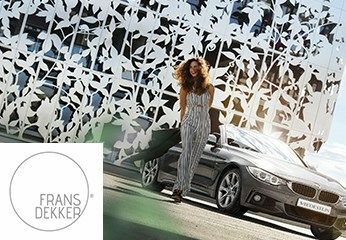 Frans Dekker Photography is an experienced international photographer who has shot campaigns, products and ads for large (inter)national companies. Play therapy is a form of psychotherapy in which play is used to help the child. Play therapy can advance a child’s development because play is, after all, the universal language of children. Through play, the (play) therapist can access the child’s deeper feelings and emotions in a very relaxed way. 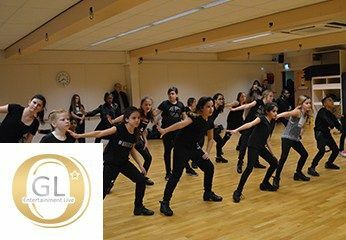 GLO Entertainment Live | Arts Performance Skool is situated in the Zuid (South) building of the Performance Factory. This dance centre for young and old, from toddlers to seniors, is the place to develop your talent under professional guidance. Recreational dancing, demo team, and dance education are among the possibilities. HeyBoyHeyGirl birth announcement are hip, unique, cool, trendy, sweet, retro and vintage. You choose a design and after that the card is free to customize to your own liking by our designers. Our hipdesign birth announcements are from high quality and still affordable. Choose a hip birth announcement from our collection and request a free monster! At the housing corporation Domijn we ensure good and affordable housing is accessible to people with a low income. There are approximately 30,000 people living in our homes throughout Enschede, Haaksbergen and Losser. We rent, maintain, and manage 15,500 homes in total. For us it’s about more than just a house. We want to offer our tenants a place where they feel truly at home. With over 200 employees, every day we work towards achieving this. Humanitas Onder Dak is a safety-net organisation that supports adolescents and adults who have lost, or are at risk of losing, their connection to society. The organisation offers structured support, keeping in mind the basic human values of equality, personal responsibility, self-direction, and independence, so that they can fully participate in society. At InteraktContour, people who experience problems as a result of brain injury (for example, following a stroke, accident, or brain tumour) work on their personal goals. The activities they undertake are focused on training and developing the skills necessary to continue to perform daily activities independently. 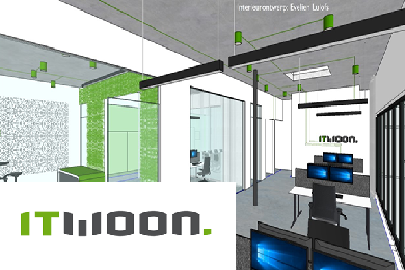 At ITwoon we know all about ICT and corporations. We provide IT automation and enjoy working with housing corporations in Twente. You’ll receive a professional, continuous, and hassle-free ICT environment with predictable costs, and efficient processes. The insight, overview, and control you gain allows your people to spend their time doing what they do best, their own work. JKCreations is a design agency that emerged from a perfect fusion of technology and creativity. 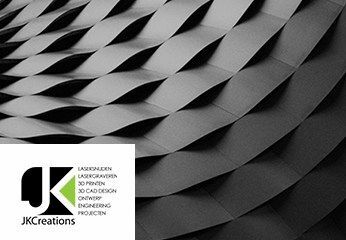 JKC designs for clients in the field of engineering and development (R&D). Products such as lighting, aluminium presentation cases (suitcase4you.com), and CityVases. Using technological advancements such as 3D printing and laser technologies, they create a world of possibilities! 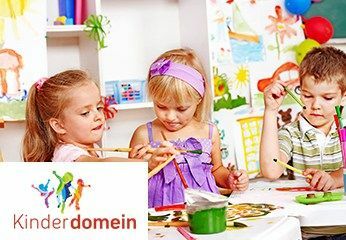 Kinderdomein provides personal and professional childcare. Children are continually challenged to grow through a varied programme, which is carried out in a safe and trusted environment. Meesterwerk is the linchpin in the labour market between employers, municipalities and job seekers. All Meesterwerk projects are related to the labour market, whether it be recruiting candidates from the UWV (Employee Insurance Agency) and municipalities, selecting candidates, conducting training, or managing outflows. 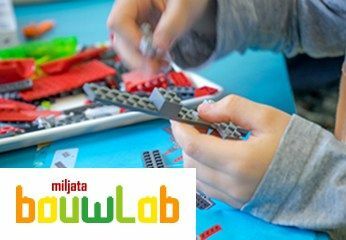 Miljata Bouwlab is the only LEGO building lab in Enschede. Here you can build with mounds of LEGO blocks or participate in a WeDo programming workshop. Kids are never bored here! Orange8 provides inspiring and interactive training. We do this using Orange DNA, which is a combination of ‘red’ (result-oriented) and ‘yellow’ (enthusiasm). During a training course, you’ll work towards your personal goal in a fresh, active, and inspiring way. 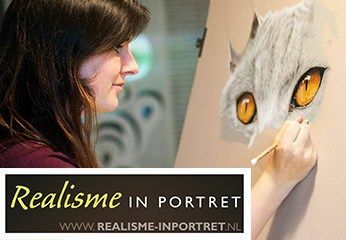 Anne Baukje of Realisme in Portret offers everything related to the art of drawing: workshops, classes, professional materials, as well as made-to-order drawings. At Solid Work we deal with graphic design in the broadest sense of the word. Whether you’re looking for a new logo, corporate identity, packaging, or a new website, we can help. We can also take care of the implementation. Drop in any time for a free consultation. Also check out our online store HeyBoyHeyGirl for our range of unique and original birth announcement cards! 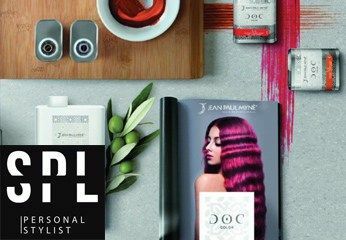 Personalised attention for all your cutting, colouring, and styling needs. That’s what you get at SPL. We are an official Jean Paul Mynè salon and work exclusively with their products. This brand does not contain: silicone, parabens, SLS and SLES and ammonia. And it’s 100% organic, 100% vegan, and 100% free of animal testing. Thanks to Jean Paul Mynè’s extensive product line, we can offer more services to give you the healthy hair you desire. Are you curious about which treatment is best for your hair? Come visit us soon. Call or whatsapp Stephanie on +31 (0)6 5312 5314 to set up an appointment. 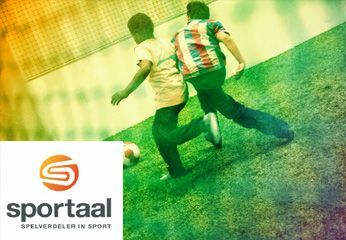 Sportaal encourages people to work out and swim. 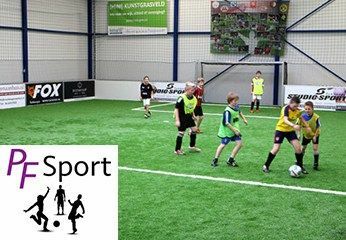 Sportaal does this by organising sporting activities, providing safe and clean sporting facilities, and making sport accessible for all. Are you, as a company, a self-employed person, student, artist or other interested party, looking for a well-equipped workshop to work with everything you need in one location? 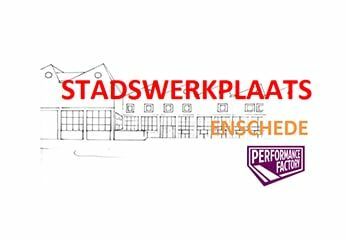 Then the Stadswerkplaats Enschede is the perfect place for you! Both beginners and professionals can roll up their sleeves and get down to work here. 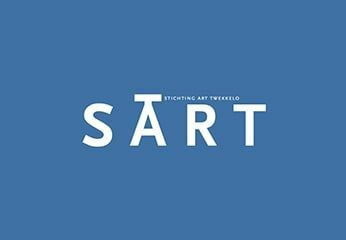 SART (Stichting ARTwekkelo) aims to promote and facilitate the visual arts. SART creates and manages studio spaces for artists and designers. In addition, SART is developing the SmARTlab PLRD: a permanent, innovative place for artists, scientists, and entrepreneurs to work. 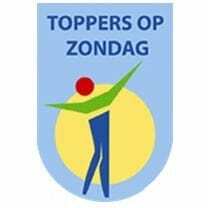 “Toppers Op Zondag” offers young, motivated people who need a helping hand, the ability to expand their horizons on educational, socio-cultural and social matters. We offer the young people opportunities to look forward to the future, to self-develop and to discover more of the world. “What do you want to be, where are you good at?”. On the weekend school young people will be introduced with all kinds of professions, businesses and institutions. Concerned about the expense of architectural design or renovations? For years we’ve been offering affordable architecture (BNA – Royal Institute of Dutch Architects). The first draft is free of charge, because we want you to see that we listen to you. You’ll always know what to expect with us. Make an appointment and we’ll happily come to you. 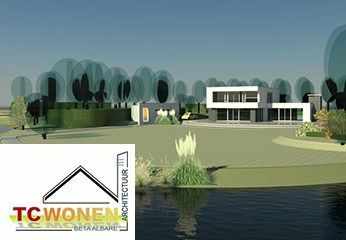 E-mail: info@tcwonen.nl. Pleased to meet you! My name is Nadja Hanterink, but I am also known as The Story Styler. 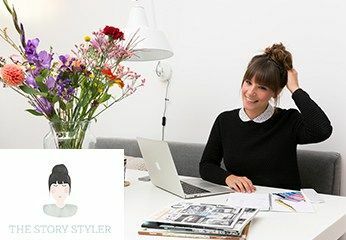 As a freelance copywriter, stylist and interiors and lifestyle blogger, I do what I love most: creating beautiful, exceptional, and captivating stories in word and image. I work on topics that bring me joy: interior, fashion and lifestyle. 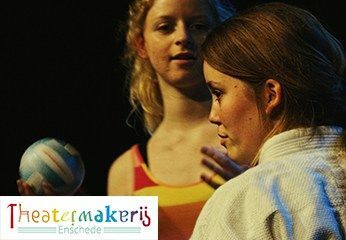 Theatermakerij Enschede offers theatre lessons to anyone between six and 21 years of age. You can participate in a variety of performances. 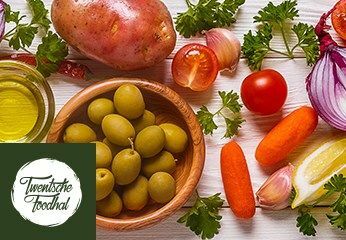 The Twentsche Foodhal is the new food experience in the region, offering fuss-free, pure and tasty food and drink. Enthusiastic entrepreneurs have created ten exciting kitchens across a 1,000 m2 floor space to tempt and please you. Serving delicious dishes prepared in front of you from the best local products. And because the selection is continually changing, every visit is sure to surprise and delight. 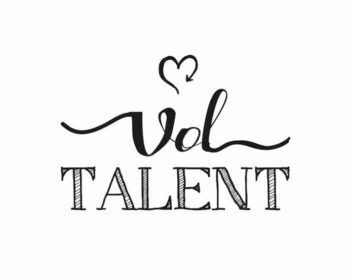 VolTalent is a creation factort with a social purpose: to motivate (young) women who are struggling to gain employment by allowing them to experience what they’d like to do and what suits them, based on their talents, ambitions, and skills. This motives them to approach education, work or a creative entrepreneurship with self-assurance. Workspace4U is a working environment and platform where professionals and business nomads can unleash their creative powers. A place where cooperation is established and/or bundled. 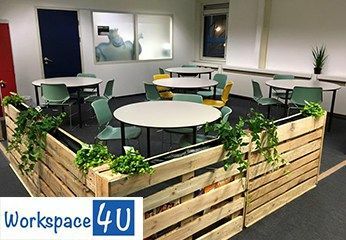 In addition to organising business events, Workspace4U facilitates innovative workstations, conference rooms and meeting spaces. RJ Safety & Security offers complete concept security services. 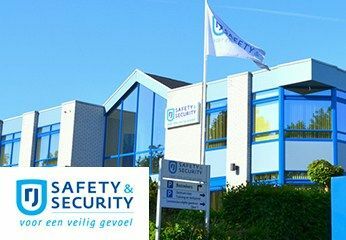 Services ranging from camera surveillance to object security offer customers the possibility to combine physical security with innovative technology in the safety and security sector. 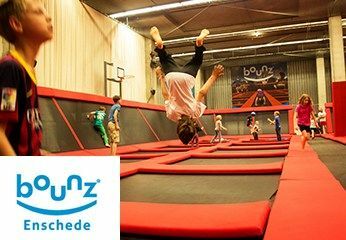 Bounz takes trampolining to the next level. 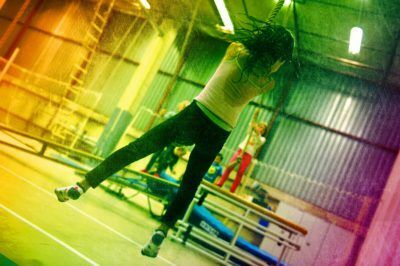 Bounz is a new and unique concept that transforms trampolining into a 3-dimensional, creative, and social sport. At Budo Aykac we offer martial arts for young and old with an emphasis on values and norms such as respect, discipline, self-confidence, and the ability to stand up for yourself. Our team of enthusiastic and professional trainers are ready to provide challenging lessons and personal guidance. And we hold the Fight Right mark of quality. Are you curious about our lessons? Come visit us soon to find out more! www.budo-aykac.nl. 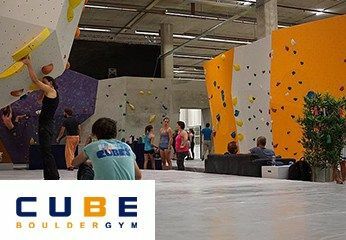 Cube Bouldergym is only the second climbing centre in the Netherlands to focus entirely on bouldering: short routes climbed without rope and belt. 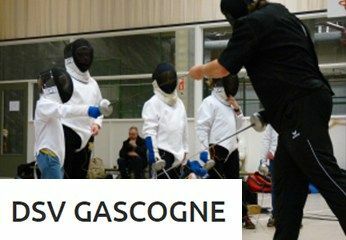 Anyone can fence, or learn to, at our fencing club Gascogne. We offer introductory courses for adolescents and adults, training for beginners and advanced, as well as workshops and demonstrations. The gym in the Performance Factory, is for everyone, young and old. The 400 m2, fully-equipped gym has a ShockTower® floor and basketball hoops. The gym offers a wide range of options – from indoor sports to workshops and presentations. 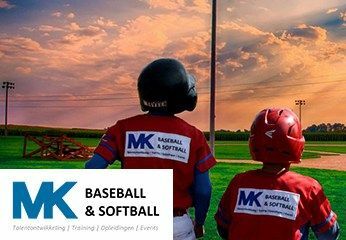 MK Baseball & Softball is a baseball and softball training facility. The indoor training facility offers the ultimate combination of baseball, softball, and fun! 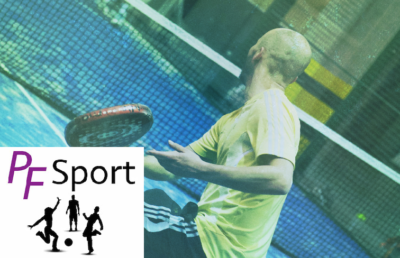 Padel is the fastest growing sport in the world and is also taking the Netherlands by storm. It’s like a cross between squash and tennis. It is tennis with squash rules where you use a racquet in an enclosed court playing the ball off the wall. You and your team enter the room. BAM!!! The door locks behind you. On the wall hangs a clock, which starts to count down… Your assignment is simple: escape from the room within an hour! CAN YOU AND YOUR FRIENDS ESCAPE? The best outing in Enschede. Are you up for it?!? 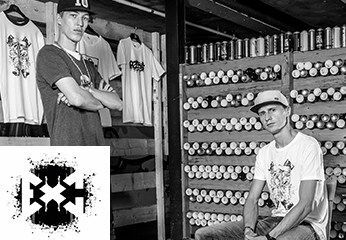 A project of the Skateboarding Association De Fabriek, Skatepark De Fabriek is the place to skate in Twente. Everyone is welcome here! You just need to register first. Speed soccer is a high-intensity sport played indoors on artificial turf. The ball remains constantly in play through the one-metre high boarding enclosing the playing field and the netting mounted on the top and sides. It’s the best place to keep in shape! 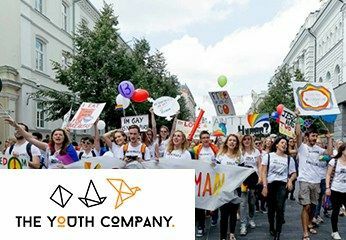 The Youth Company offers a platform for young people, in which the main objectives are the development and discovery of talents, skills and competencies. Young people take the lead for their learning at The Youth Company. Our methods are based on non-formal education and learning can take place in the Netherlands and/or in international groups. This approach provides a valuable complement to formal education, youth work and youth care organisations, and various organisations active in the local democratic society. We think it is great to encourage young people to take initiative in their personal and professional growth, which will increase their positive impact on society. We offer a learning environment that challenges young people to be curious, creative, enterprising, and involved. The Youth Company wants to make a valuable contribution to the lives of ALL young people between 14 and 30 years of age. Inclusion is an important value of The Youth Company. For us, inclusion means that all young people are welcome, regardless of their gender, sexual identity, race, religion, family background, education level, socio-economic status, and the country they come from. 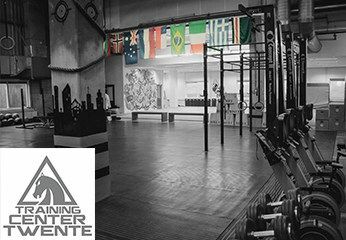 Training Center Twente (TCT) is the home base for Strength and Conditioning in accordance with the CrossFit principle and MMA (Mixed Martial Arts). Strength & Conditioning Twente (SCT), MMA Academy Twente (MAT), and Kickboxing Women (KW) are all based here. 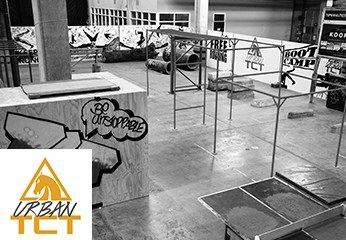 Urban TCT is an indoor environment for everyone involved in outdoor sports and fitness training. The park is equipped to allow different ‘outdoor’ sports and exercise forms to practice indoors. 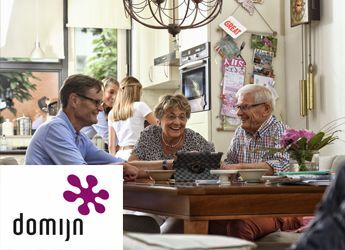 Aveleijn offers care, support, treatment and advice to children, adolescents, adults and seniors with intellectual disabilities or poor social self-efficacy. 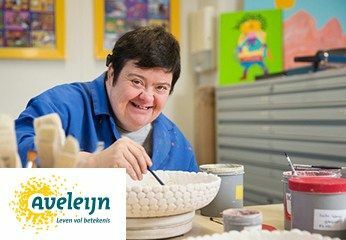 Aveleijn offers people with intellectual disabilities a meaningful and challenging way to spend the day. The day centre has several departments, all with their own activities that meet the clients’ needs; there is an art studio, textile workshop, industry department, bakery, cafeteria, and recreational group. 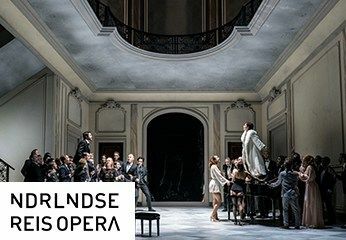 “We believe that an opera performance can alter your life. That’s why we produce operas that connect and touch people. An opera narrates emotions that are familiar to all of us. And that’s why we travel to perform at a theatre near you. We believe wholeheartedly that in a time of polarisation and negativity, culture provides hope and connection”. 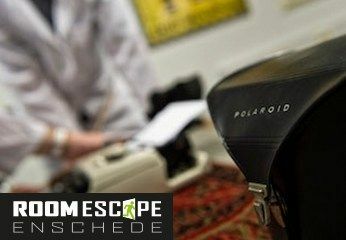 Welcome to Polaroid Originals located in the Performance Factory in Enschede. We are the only plant in the world that produces instant print film for both amateur and professional photographers. 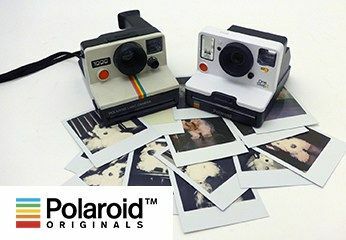 Our instant film can be used in classic and new Polaroid cameras. Wijkraad De Bothoven has been around since 2002. The purpose of the district council is to foster quality of life and cohesion in the De Bothoven district. The district council is made up of residents from the De Bothoven district volunteering their time and services. Because it is run by volunteers, replies to e-mail or phone may sometimes take longer than a day. The district council works with various parties active in the district. 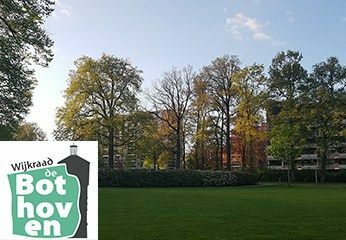 These parties include: various healthcare organisations, entrepreneurs, the municipality of Enschede, local police, and the housing corporations Domijn and De Woonplaats.